Continuing on the role of hasidism in Ukraine, Mr. Rostovtsev said that he understands and appreciates the historic roots of Chabad in the region. Nonetheless, he stated, local Jews need a Jewish alternative to Chabad; a more modern, egalitarian approach to Judaism is more appropriate in the twenty-first century. He observed that the Israel Cultural Center, Jewish Agency, and Hillel all attract individuals to their programs who are seeking a different approach to building their own Jewish identities; Chabad, he said, excludes many people who consider themselves Jewish, but feel uncomfortable in a Chabad environment. That it operates a monopoly in Dnipro-petrovsk regarding Jewish religious practice is unfortunate; notwithstanding the crowds that the synagogue attracts for Shabbat services, most Jews in urban areas are “not sympathetic” to Chabad, said Mr. Rostovtsev. In response to a question, Mr. Rostovtsev said that the economic crisis was “deeper” (глубже) now than previously. Government policy has led to increased state control over the economy, a situation that has suffocated the emerging middle class, inhibited investment, and caused unemployment. Mr. Rostovtsev estimated the local unemployment rate to be 30 to 40 percent, some of it masked by part-time work, furloughs, or other deceptive practices. 23. The Jewish women’s microenterprise loan fund, initiated with funds from Combined Jewish Philanthropies of Greater Boston (the Jewish federation in Dnipropetrovsk’s American sister city) continues to generate new businesses in Dnipropetrovsk. All loans are processed through PrivatBank, a large Ukrainian bank controlled by two Dnipropetrovsk Jewish leaders, Hennady Boholubov and Ihor Kolomoisky. Loan applicants must submit business plans to a committee of local Jewish leaders and PrivatBank representatives. The committee meets once monthly and has approved about 50 loans since inception of the program, said Vyecheslav Brez, Executive Director of the Chabad philanthropic fund in the city; many loans have been paid back, continued Mr. Brez. No defaults have occurred. Natalia Rier, who directs the loan program, said that not all applicants understand the requirements for success in obtaining a loan and operating a successful business. Only 10 to 15 percent of those who express interest in acquiring a loan ever present a serious business plan, she said. Her office provides advice on developing a business plan, she continued, but inadequate education prevents many women from obtaining necessary information, comprehending local conditions, and constructing a workable plan. The level of financial education among many applicants is very low, and necessary legal assistance is very expensive. Further, many women [and men] lack necessary computer and other technical skills necessary in contemporary society. Natalia Rier, right, has directed the Jewish women’s micro-enterprise loan fund since its inception. Most loans are in the $1,000-$1,500 range. A somewhat similar loan fund initiated by the Joint Distribution Committee was overly complex and failed. In a separate discussion, Mr. Brez said that the local Jewish community and its Boston colleagues would like to expand and diversify the loan fund; they are examining several loan funds in Israel to see if any policies and practices there might be adaptable to Dnipropetrovsk. The new Menorah Center, noted Mr. Brez, will include a full office and teaching space for the microenterprise loan program. Instruction will be provided and encouraged in basic office skills, business practice, economics, and marketing. Computers and other relevant technology will be available. 24. The regional headquarters of the Jewish Agency for Israel (Sochnut, JAFI) is housed in a suite of offices and program rooms in a modern building in Dnipropetrovsk. The Dnipropetrovsk center also supervises JAFI coordinators in Krivoi Rog, Zaporizhya, and Melitopol, as well as volunteer representatives in Alexandria and Kirovograd. Its major mission centers on Jewish identity-building through formal and informal Jewish education and it encourages emigration of local Jews to Israel. Lena Zbarzhevsky, a native of Dnipropetrovsk, is now in her second year as JAFI director in the city. She left the city as an adolescent when she emigrated to Israel with her family. Aliyah (emigration to Israel) has increased in 2011 over 2010, Ms. Zbarzhevsky said. So far, four to five more individuals from the region are going to Israel every month over the same month in 2010, she stated, and she expects the growth in aliyah to continue throughout the year. (The total aliyah from the region in 2010 was 292.) In response to a question, Ms. Zbarzhevsky said that the average age of olim (immigrants in Israel) from Ukraine was 32; the predominant groups were young singles and young families. Another significant group consists of middle-age and older people who need medical care not available or too costly in Ukraine. Answering another question, Ms. Zbarzhevsky said that the primary driver of aliyah was economic distress; local inflation was 24.9 percent, she said, and many individuals and families simply could not make ends meet. 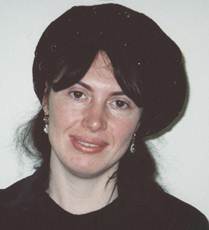 A related important stimulus to aliyah, she continued, was fear of political instability under the Yanukovych government. Commenting on various absorption programs in Israel, Ms. Zbarzhevsky said that the Na’aleh high school in Israel program remains stable. The previous five-month Selah college/university program has been changed to a 10-month Selah Masa format (see below), in which participants will study both Hebrew and English, as well as learn about various aspects of life in Israel; some will use the new format as the first step in aliyah, to be followed by enrollment in an Israeli college or university, and others may regard it more as an academic year abroad program and will return to Ukraine upon completion of the course. Lena Zbarzhevsky emigrated to Israel as an adolescent with her family from Dnipropetrovsk. Twenty years later, she has returned to direct JAFI operations in the region. Photo: the writer (in 2010). Regarding Taglit (birthright Israel tours), Ms. Zbarzhevsky stated that three different groups operate Taglit tours from the Dnipropetrovsk region; both JAFI and Hillel offer two trips annually (one in summer and one in winter), each consisting of one bus for 40 young people. The Israel Cultural Center also sponsors two buses annually, she continued, but these include participants from throughout Ukraine, not just Dnipro-petrovsk or the Dnipropetrovsk region. The age range for Taglit is 18 to 26; the average age of participants is 22/23, said Ms. Zbarzhevsky. Many returning Taglit participants then decide to enroll in Masa, a 10-month program that enables young adults to explore specific interests. Fifty young people from the Dnipropetrovsk area have joined various Masa programs during the 2010-2011 academic year, Ms. Zbarzhevsky stated, and she expects significantly more to enroll for 2011-2012 courses. Most Russian-language Masa programs are offered at little or no cost, she said, observing that a $1,000 to $1,500 co-payment is manageable for many young people. Among the most popular programs in this category are those dealing with computer technology, business management, English-language study, and Hebrew-language/Jewish tradition. Some courses offered by Orthodox religious groups are not only free, but provide stipends as well. Masa courses targeting English-speaking Jews may cost as much as $5,000; although some native Russian-/Ukrainian-speakers are fluent in English and possess the language skills to participate in such courses, they are unlikely to be able to make a co-payment of that amount. A new program that is very appealing to many aliyah candidates is a work-study trial in which individuals test actual employment opportunities in their own specialties. They are provided with room and board and can earn as much as $700 monthly while working and studying in such fields as computer technology, journalism, and translation. Their work experience enables them to make employment connections leading to job offers. In response to a question about local activities, Ms. Zbarzhevsky said that JAFI operates youth clubs in Dnipropetrovsk, Zaporizhya, and Krivoi Rog. Although technically open to young people from the age of eight through young adulthood, the clubs effectively serve only university students. JAFI also sponsors occasional youth activities in Dniprodzerzhinsk and several other cities, although these are not in the format of structured clubs. In Dnipropetrovsk, JAFI also operates a Sunday school that attracts about 15 youngsters between the ages of eight and 12 every week. The curriculum includes Hebrew, other Jewish subjects, English, and some recreational activities; during the summer months, the Sunday school becomes a day camp enrolling a larger number of youngsters. None of the participants, said Ms. Zbarzhevsky, attends the Chabad Jewish day school in the city; the children may not be halachically Jewish, their parents fear the religious orientation of the school, and the school itself is not prestigious. 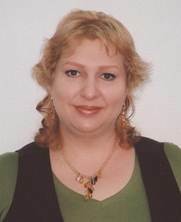 Due to budgetary constraints, said Ms. Zbarzhevsky, JAFI is unable to offer any activities for adults other than ulpan classes with Jewish identification components; however, secular Talmud study will be offered in 2011-2012. In earlier interviews, Mr. Rostovtsev and others have described Shabbat services in Dnipropetrovsk as social networking opportunities useful for exchanging gossip. See page 64 for a report of a Kharkiv student unable to afford payment for a particular MASA course.